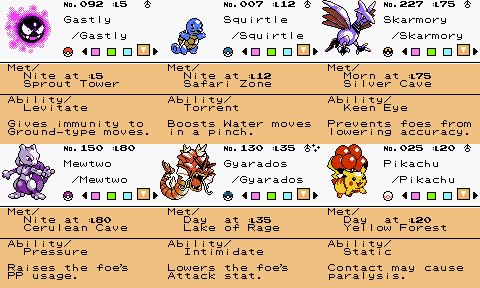 Pokémon Crystal already records basic caught data. I've added a display for the type of Poké Ball. (Also fixed the caught level so it works above level 63.) There are 18 kinds of Ball, including the Premier Balls you get with every purchase of 10 others. People have been playing Polished Crystal 2.2.0 for months now, and a few have started playthroughs on YouTube. Which is great, but I keep noticing all the little things that have improved since then. Version 3.0.0 still isn't ready—there's content to add and bugs to fix—but until then, here's the first 15 minutes with the latest updates. Last edited by Rangi; 14th December 2016 at 02:27 AM. This forum seems pretty inactive, but I've been posting a lot more updates on Romhack.me, PokéCommunity, and Skeetendo. 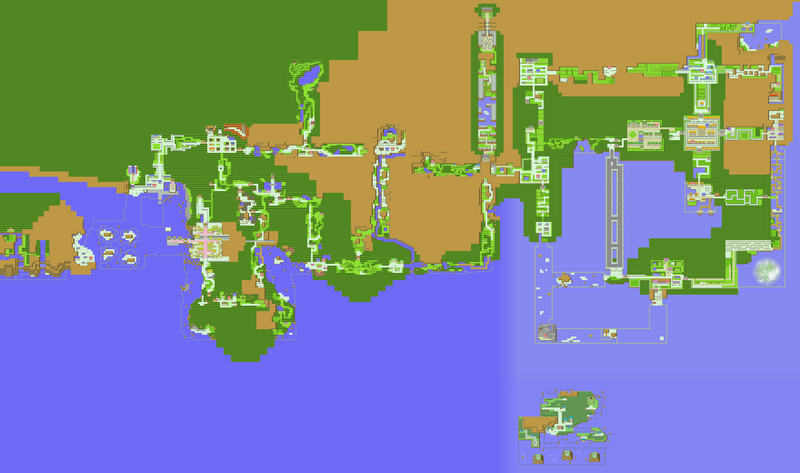 Here's a giant world map (3520x2080, 394 KB). Last edited by Rangi; 26th April 2017 at 10:17 PM. GitHub only lets you have one fork of a repository at a time. So now that polishedcrystal is its own repo, I can fork other pokecrystal projects like pokeorange or TimelessCrystal. Or fork pret/pokecrystal directly and make contributions to it. 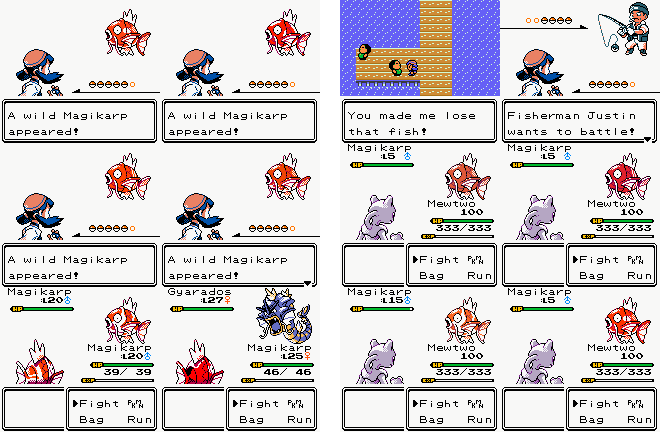 Magikarp Jump forms have been implemented! Now even this "weak and pathetic Pokémon" (so says the Pokédex) can stand out in a team. And NPcs use them too, so the traditional six-Magikarp Fisherman will be less boring.